They are perfect to taste and savour. Add as a crunchy topper for salads or oatmeal. A great snack for any occasion year round. Shelf life of product is 1 months. 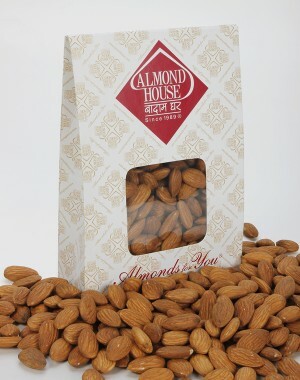 Impulse matched with an intense nine months of research resulted in the birth of ALMOND HOUSE towards the end of 1989. Assuming the customer's point of view and understanding the implied trust placed by them with regards to purity, taste, hygiene and health led us to state the objective in the form of the credo, "Purity... in good taste! Purity... in good will!". 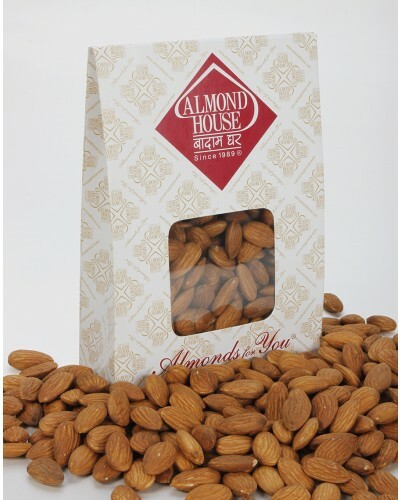 Along with a wide assortment of traditional Mithai, Namkeen and Dry Fruits, Almond House also offers a diverse variety of Eggless Confectionery, Natural Ice Cream and Chocolate.Impulse matched with an intense nine months of research resulted in the birth of ALMOND HOUSE towards the end of 1989. Assuming the customer's point of view and understanding the implied trust placed by them with regards to purity, taste, hygiene and health led us to state the objective in the form of the credo, "Purity... in good taste! Purity... in good will!". Along with a wide assortment of traditional Mithai, Namkeen and Dry Fruits, Almond House also offers a diverse variety of Eggless Confectionery, Natural Ice Cream and Chocolate.